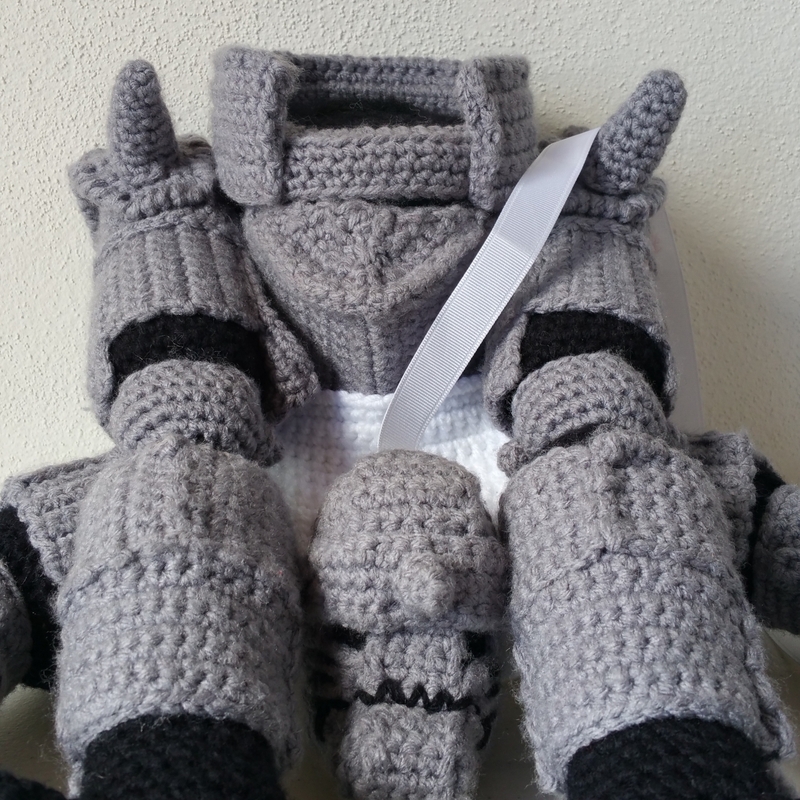 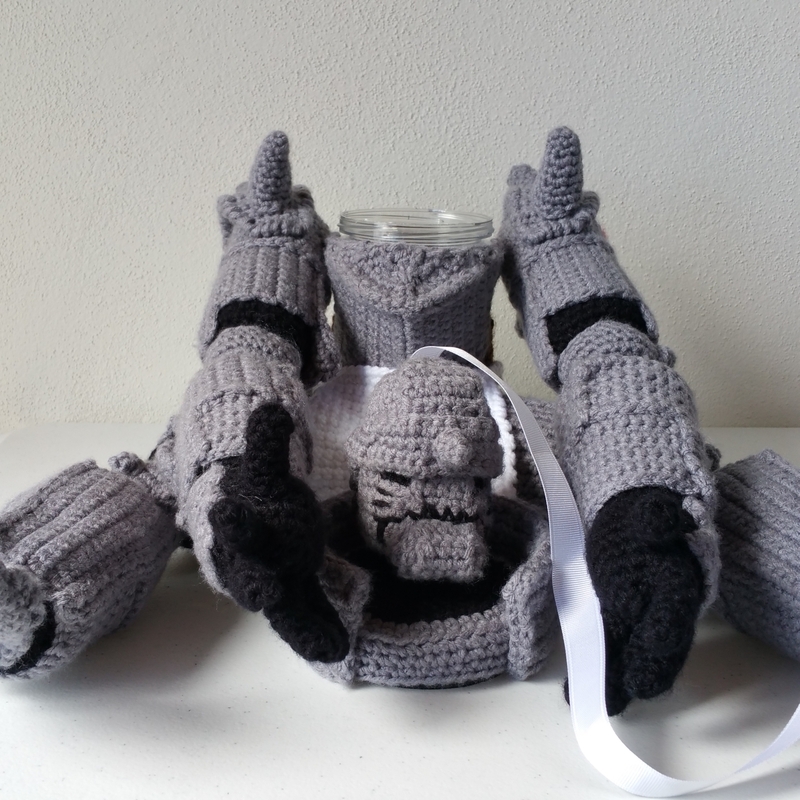 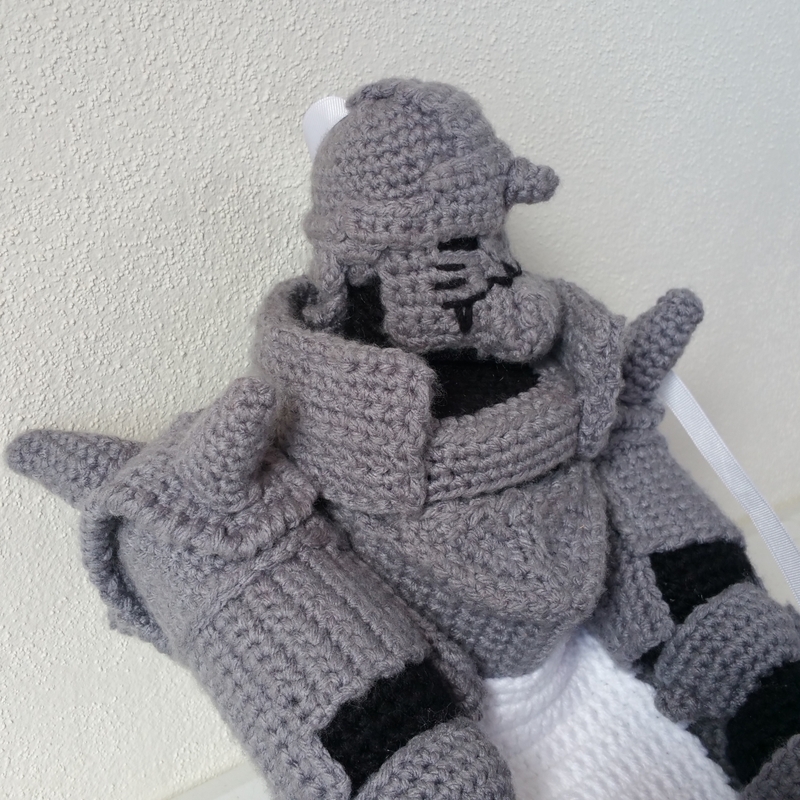 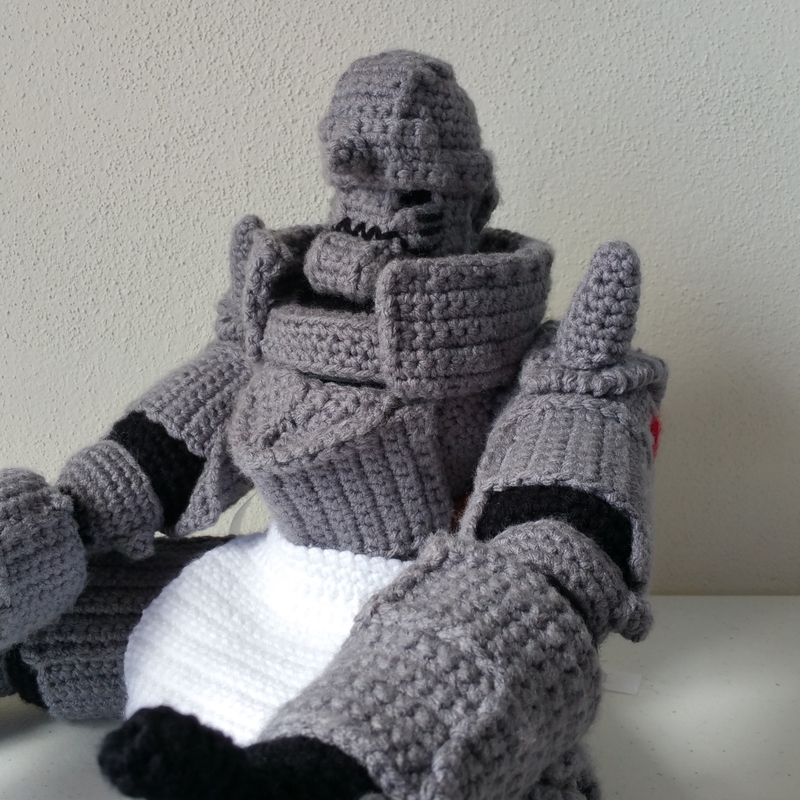 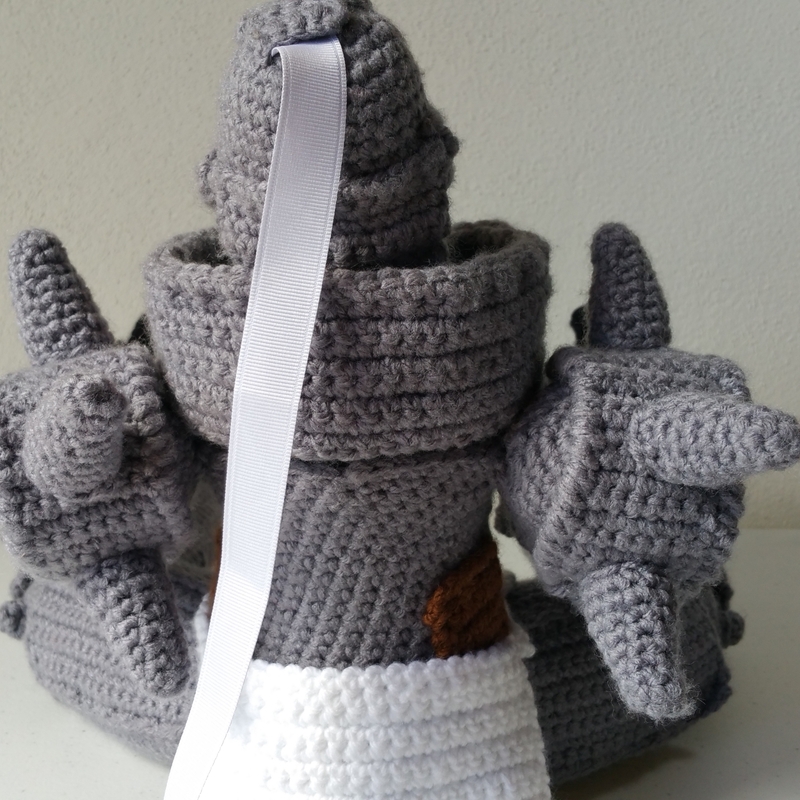 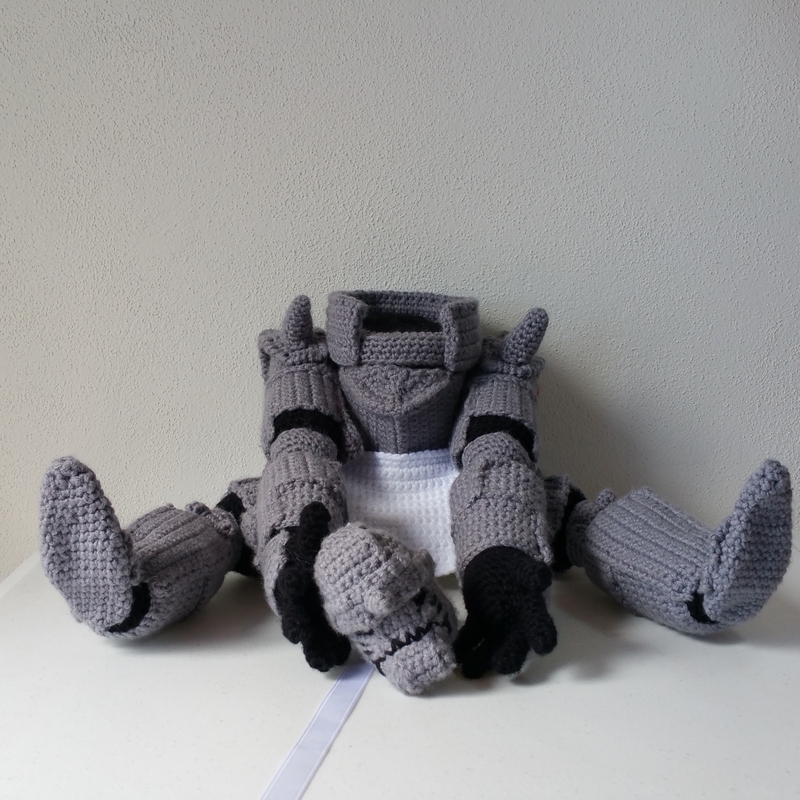 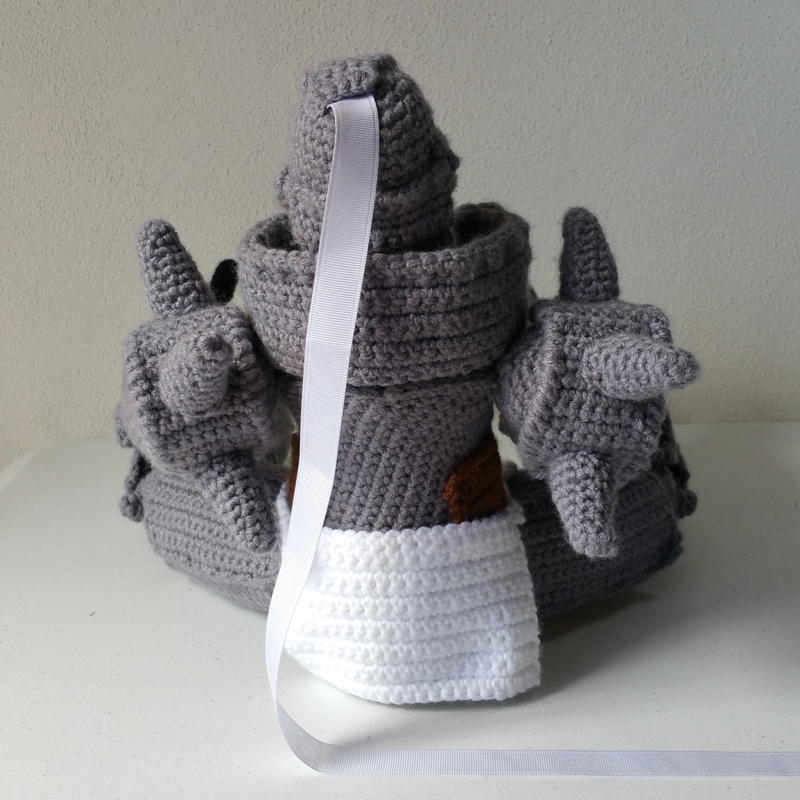 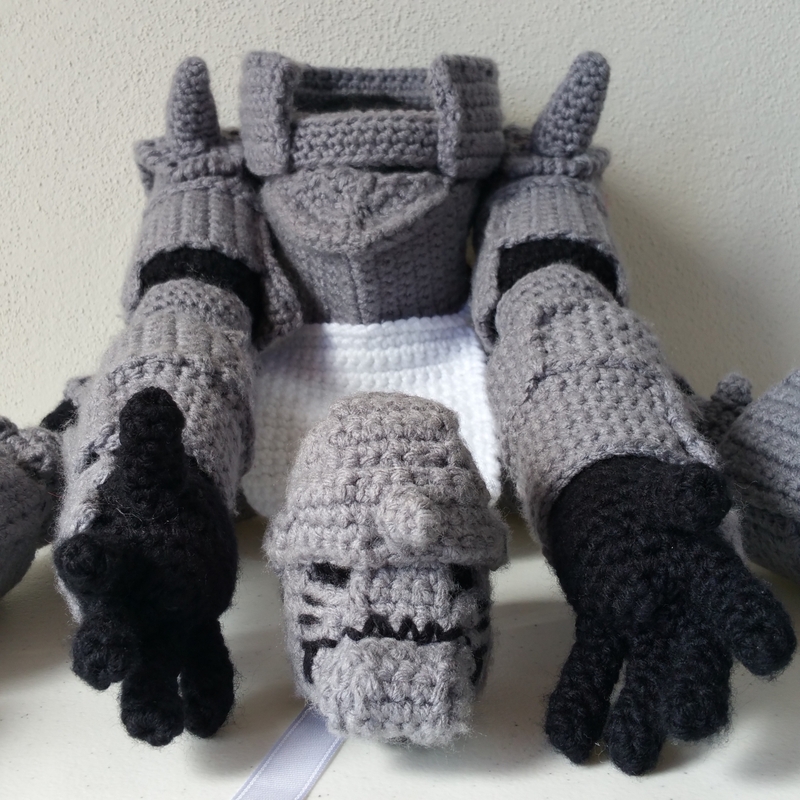 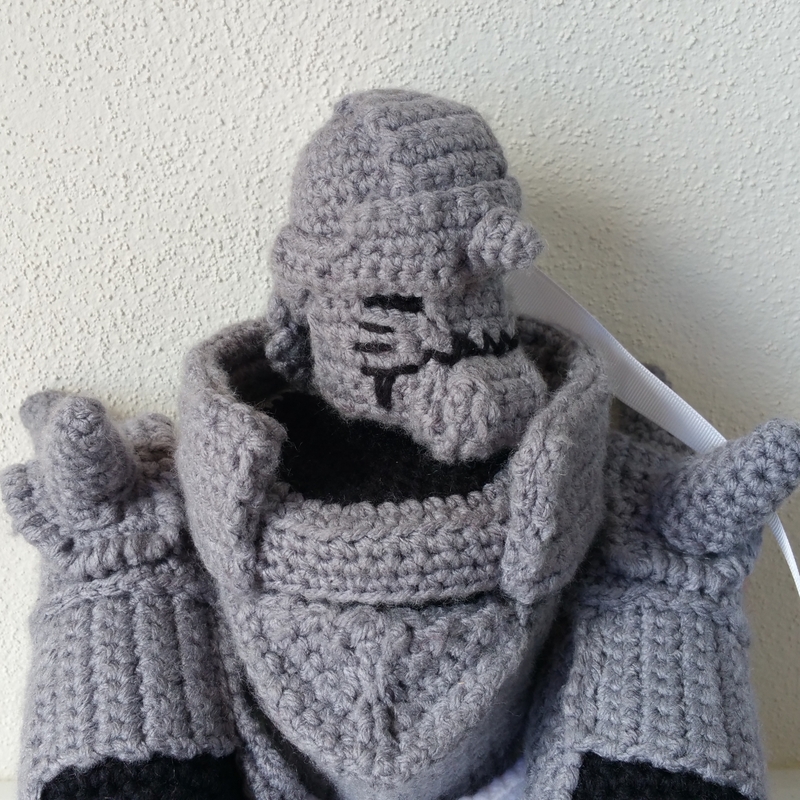 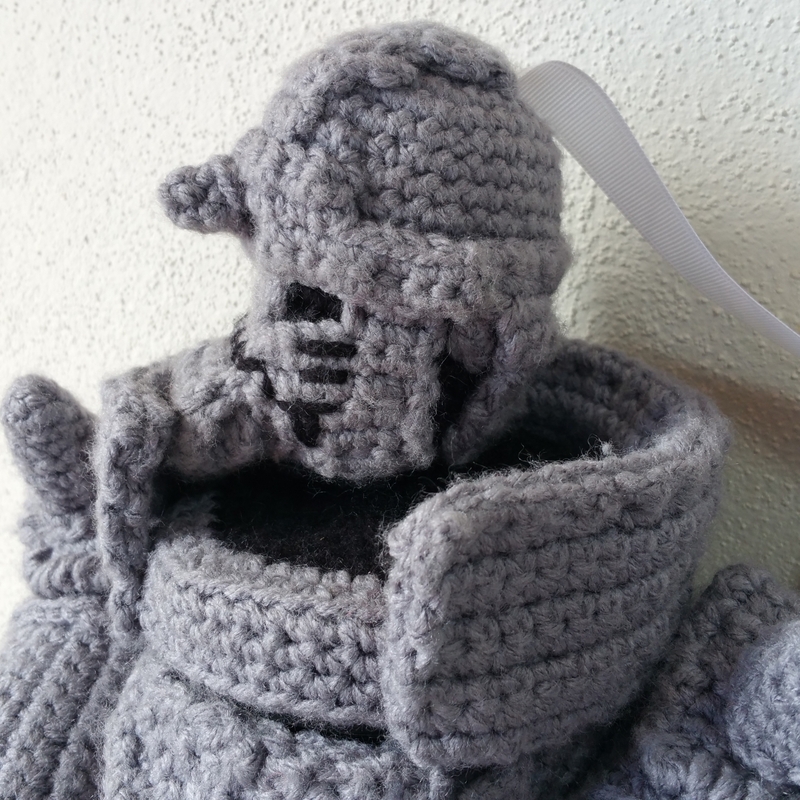 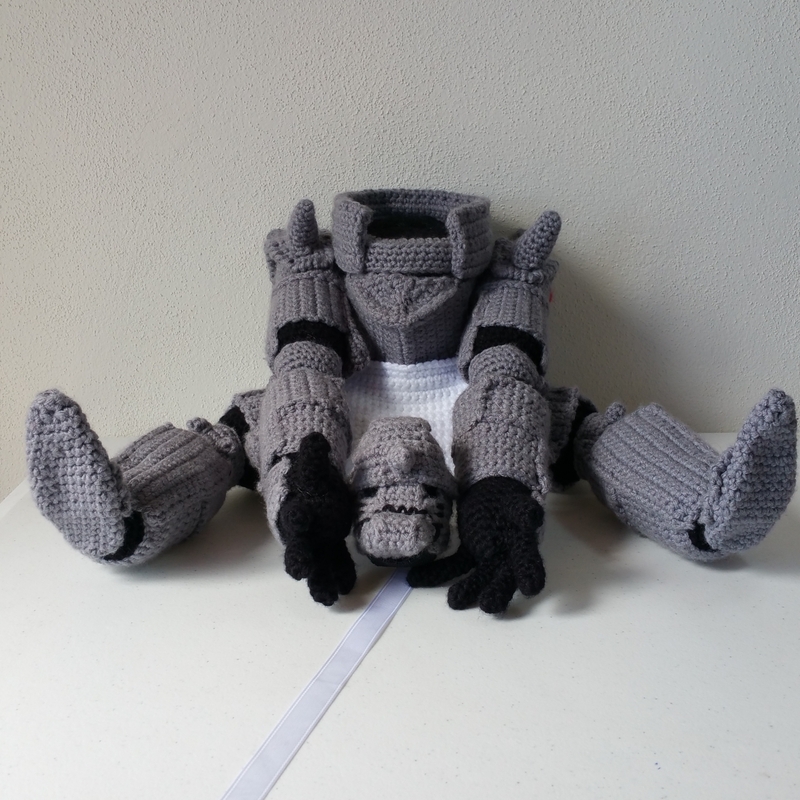 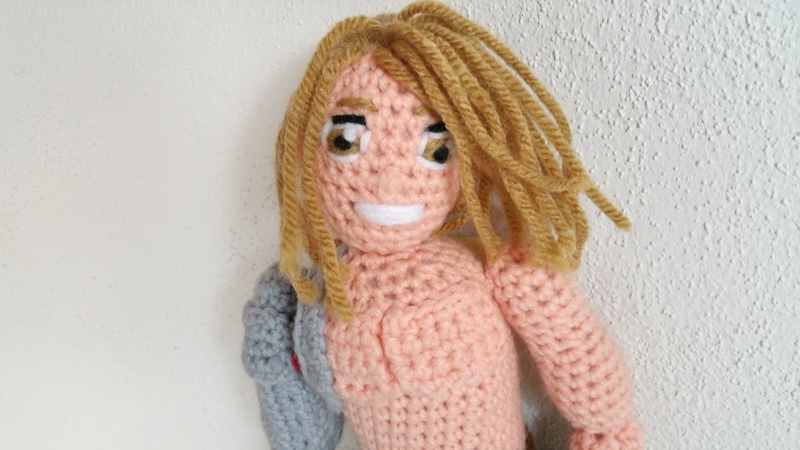 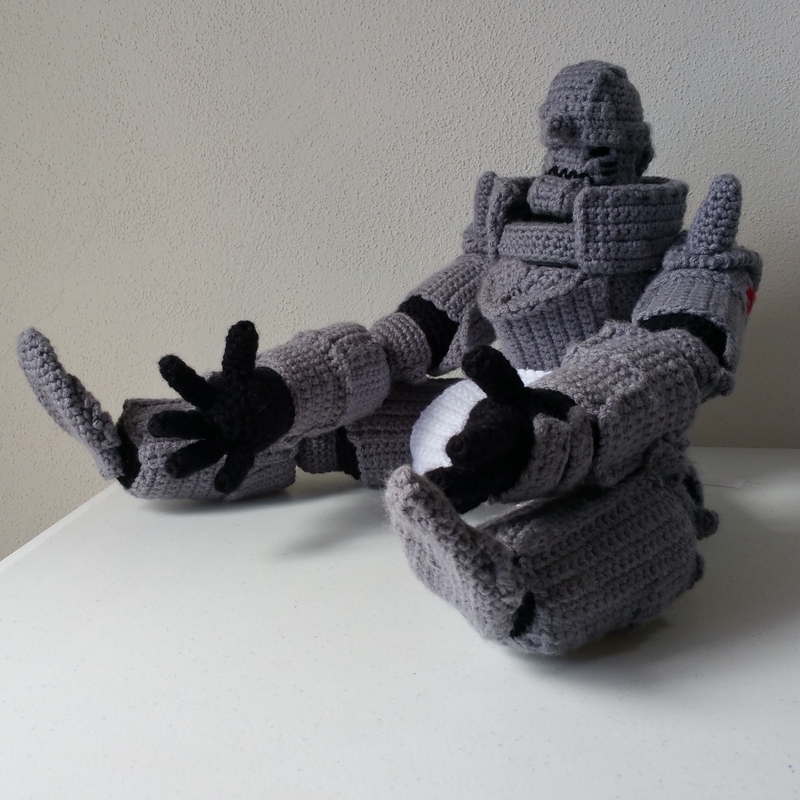 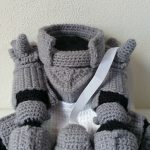 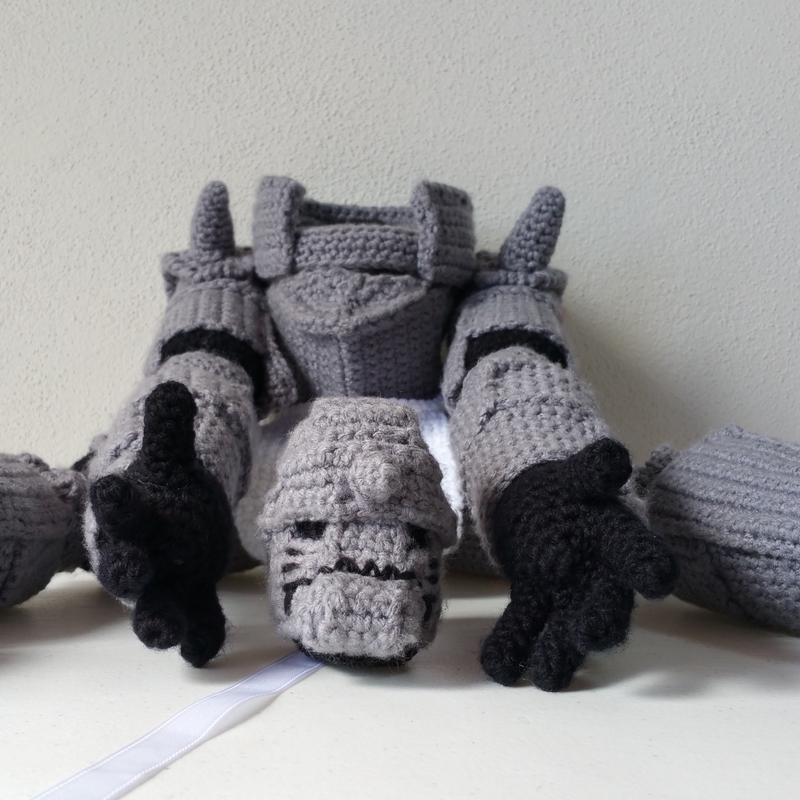 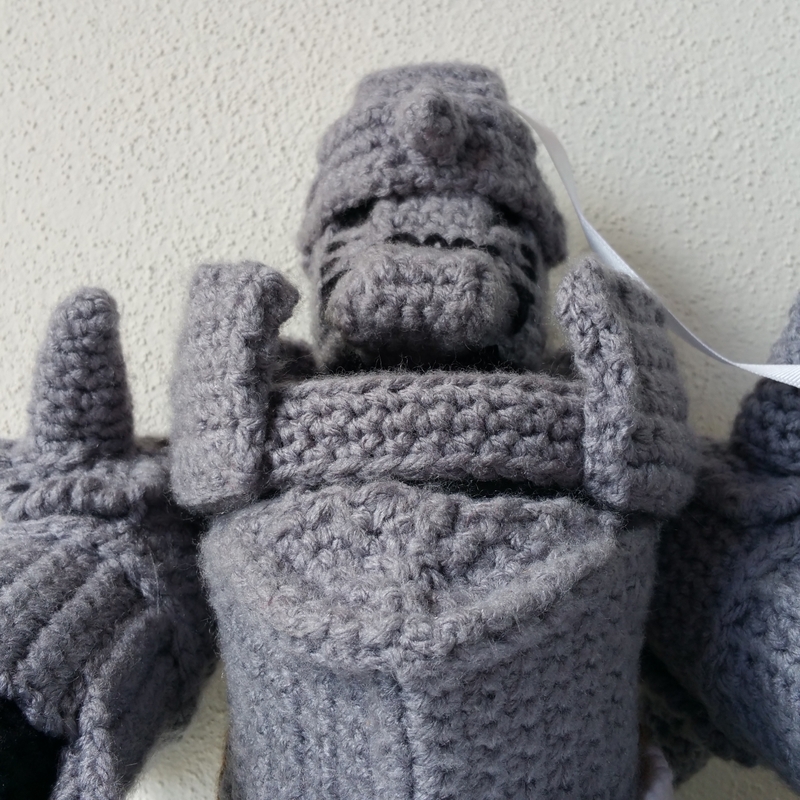 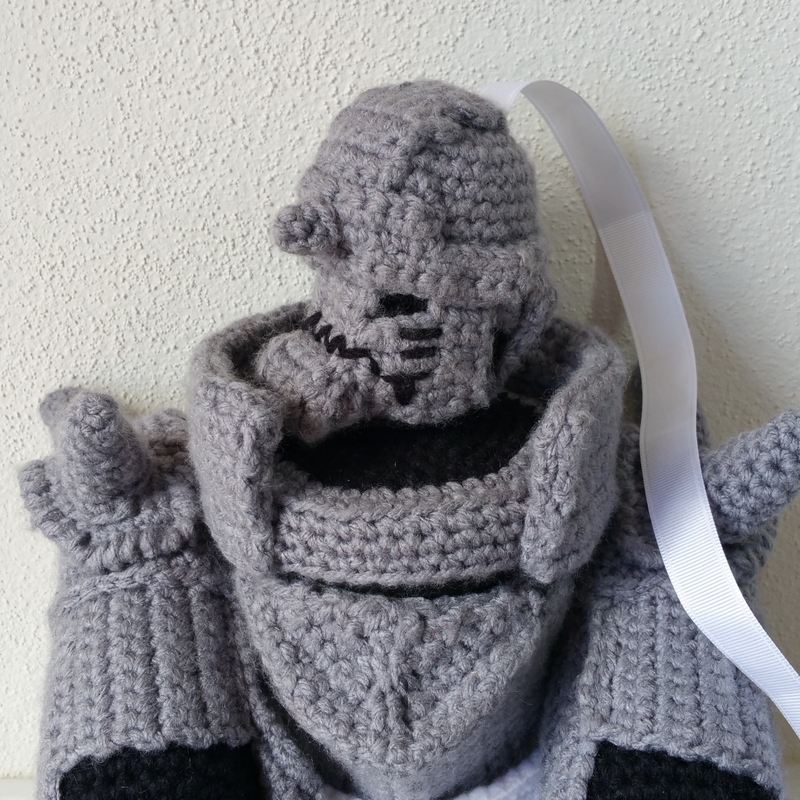 This is the crochet pattern for the younger brother Alphonse Elric from the Fullmetal Alchemist. 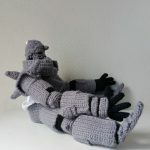 Al is in a seated position and when seated is 11″ tall and has legs that 12″ long and arms that are 15″ long with a wingspan of 26″. Alphonse is an intimidating looking warrior, but as clumsy as his namesake character. 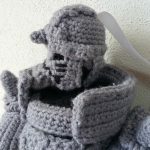 His empty armor has a secret hatch that can be used to stash candy, valuables, kittens, or the soul of a younger brother. This pattern, like all craftg patterns, is fully supported, dynamic, and is continuously improved. 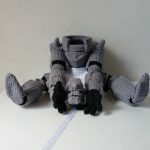 It consists of a 37 page downloadable and printable PDF with photos and step by step instructions. 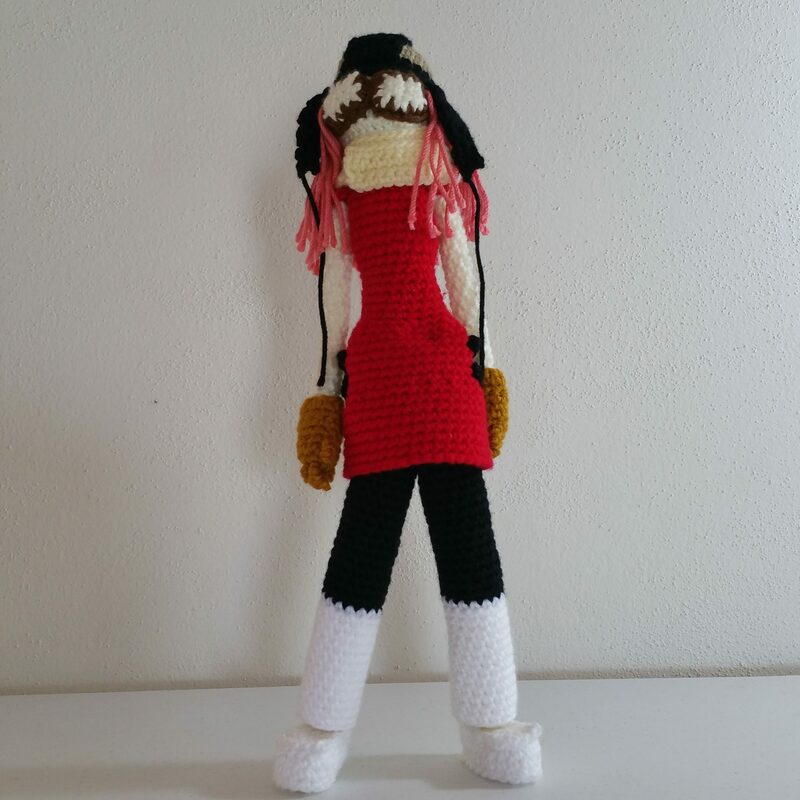 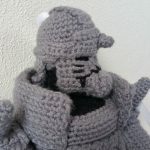 There are many photos and videos demonstrating the steps to crochet Alphonse. 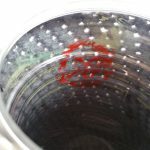 There is a question and answer section where your questions can be answered by the pattern artist. 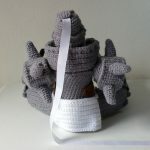 Once you have added this pattern to your account by ordering it, you can access it below. 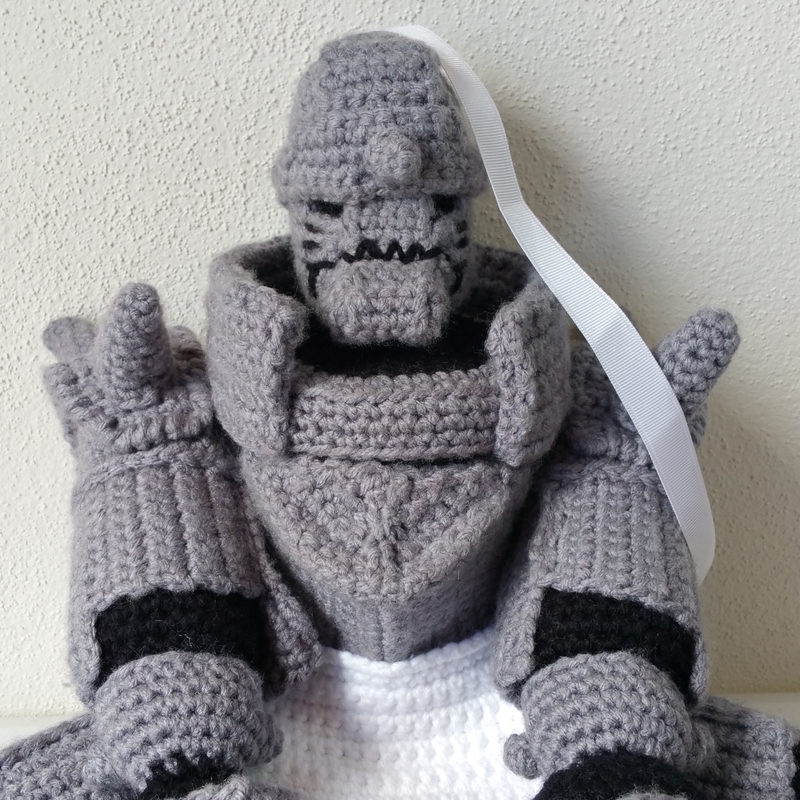 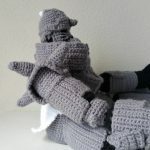 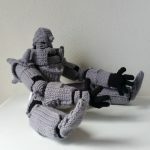 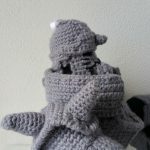 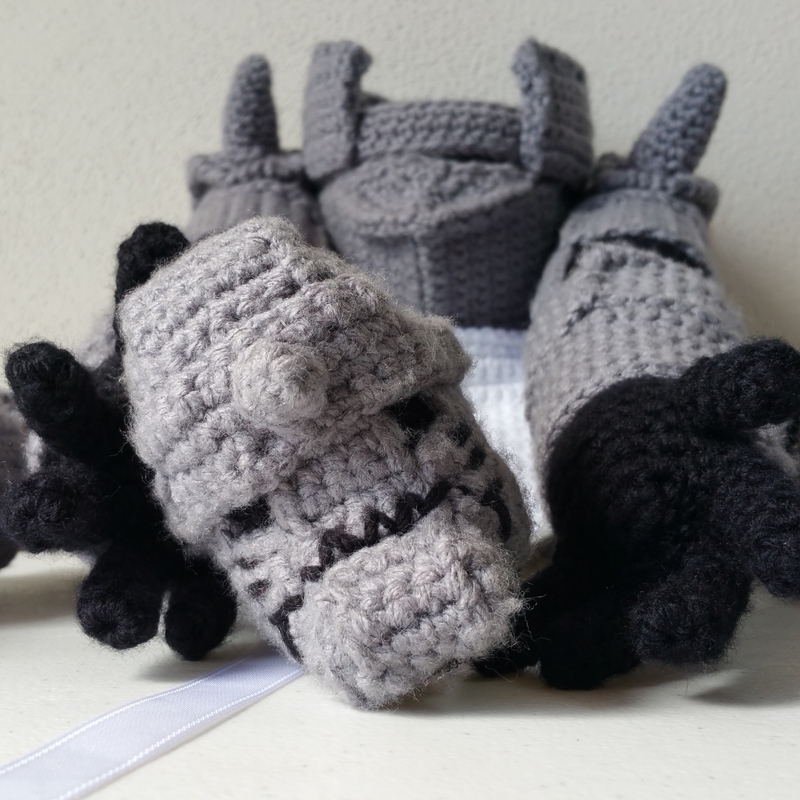 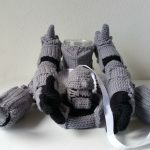 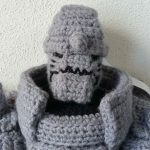 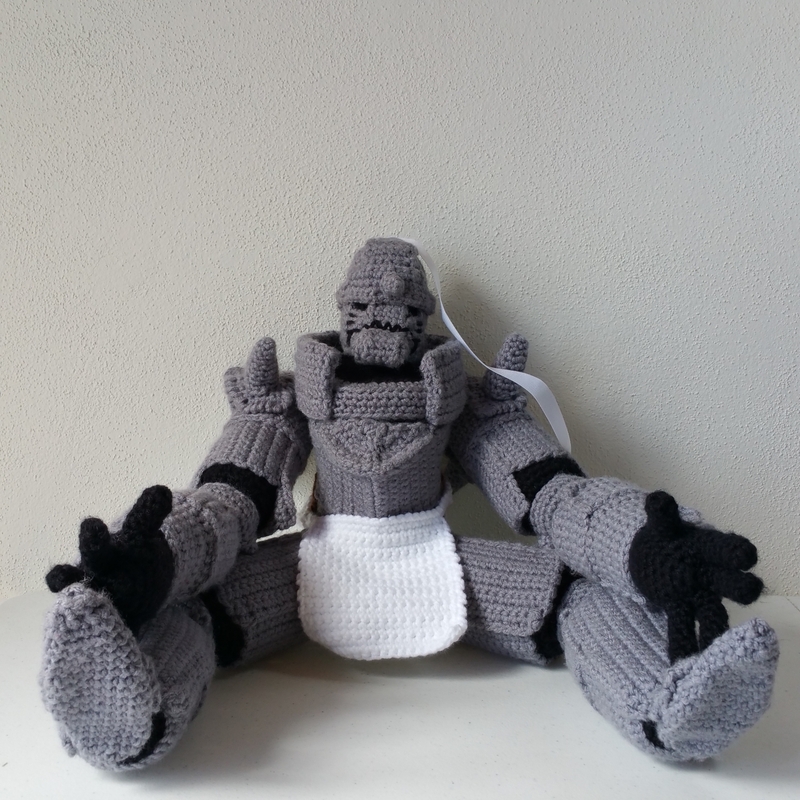 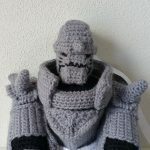 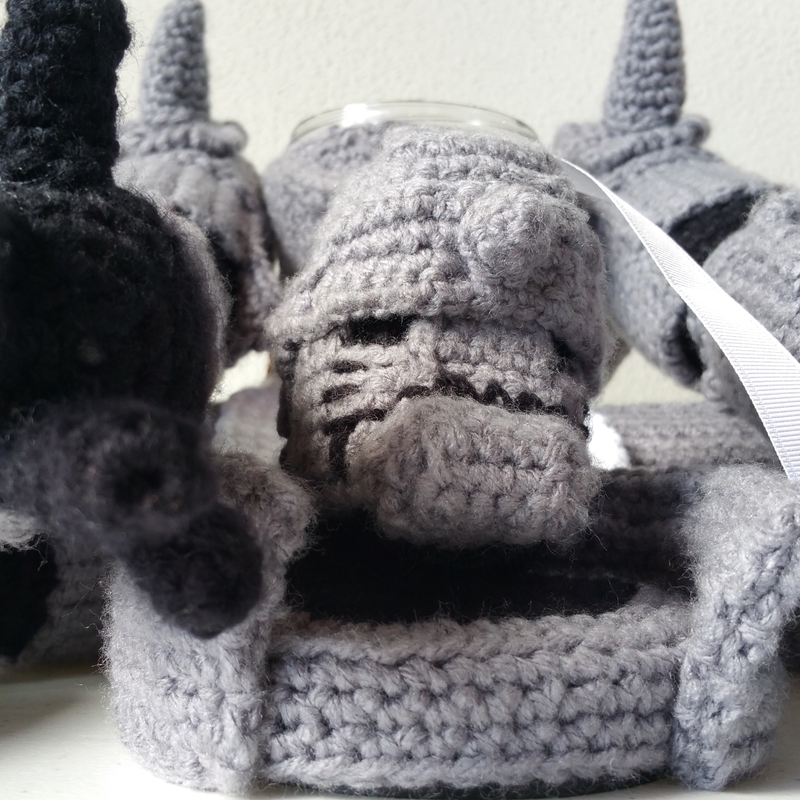 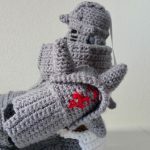 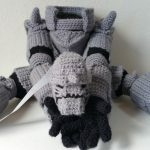 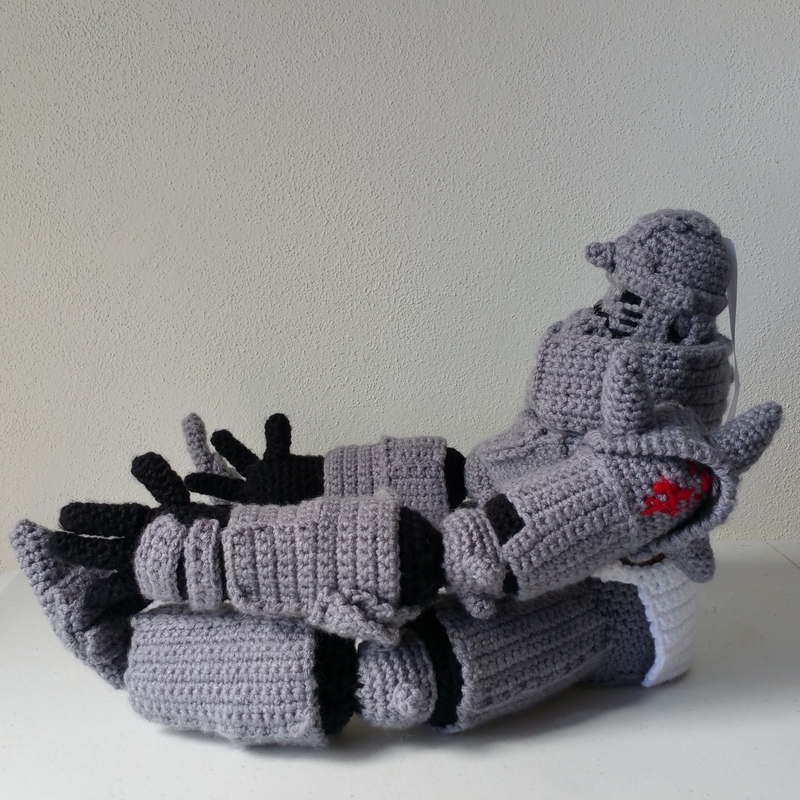 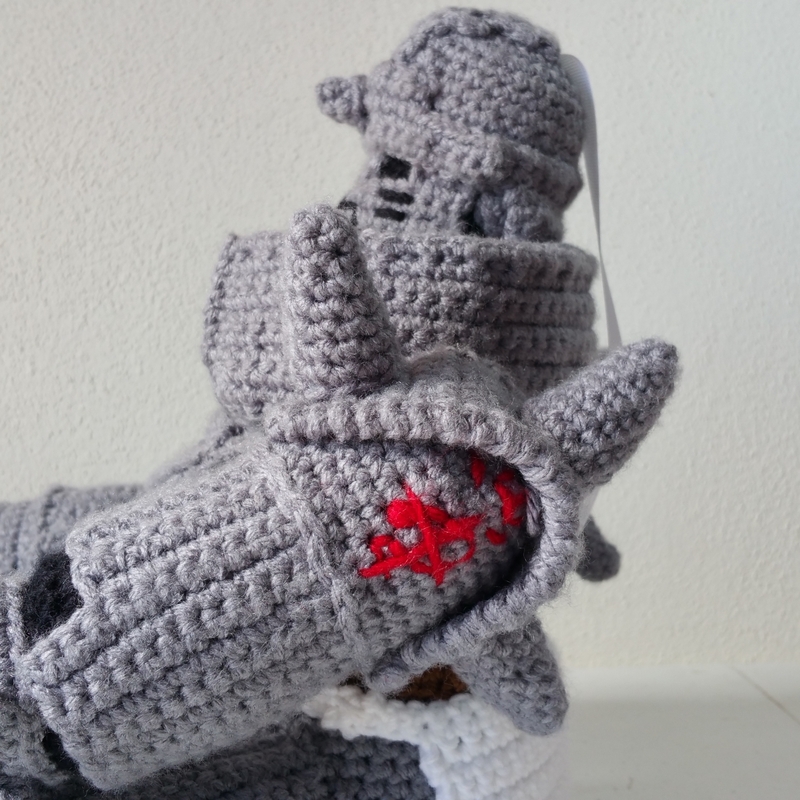 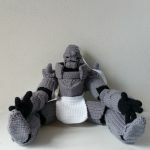 To access this crochet pattern, you must add Alphonse Elric Crochet Pattern to your account, or log in if you have already added it.